P1218. WILLIAM MASSELOS, w.Leopold Stokowski Cond. American S.O. 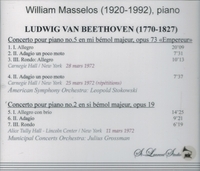 : Emperor Piano Concerto #5 in E-flat, Live Performance, 28 March, 1972, Carnegie Hall [followed by rehearsal segment with Stokowski speaking]; WILLIAM MASSELOS, w.Julius Grossman Cond.Municipal Concerts Orch. 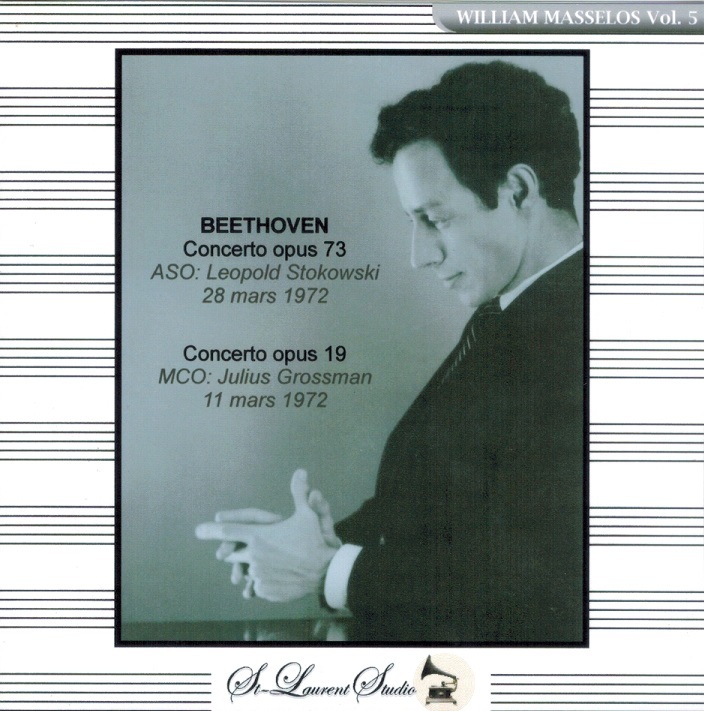 : Piano Quartet #2 in B-flat, Live Performance, 1 March, 1972, Alice Tully Hall, New York (both Beethoven). (Canada) St Laurent Studio YSL T-347. [Never previously issued.] Transfers by Yves St Laurent. 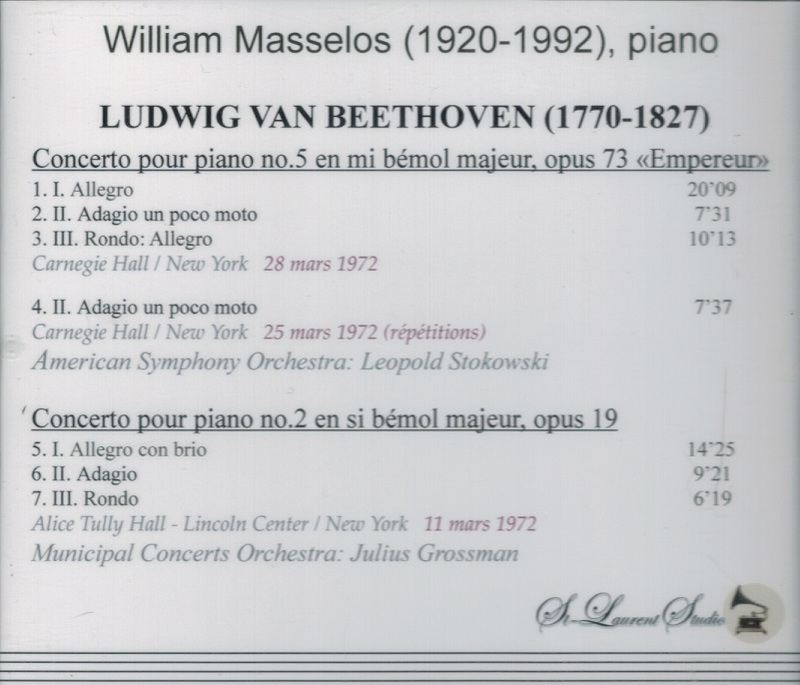 "Masselos was born in 1920 and died in 1992. His main teacher was Carl Friedburg, a pupil of Clara Schumann, and he thus was steeped in the German tradition, but advocacy for new music was a huge part of his artistry and career….Yves St. Laurent is a company dedicated to finding performances that really merit public exposure and preservation, and to doing it with the highest possible audio quality. They accomplish this successfully."